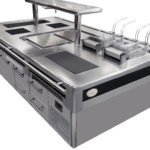 A range of equipment made for small restaurants /for fast food. Designed to reduce space but with a high efficiency and optimal durability. From small to large efficiency. The Capic fryers, the best ally of the caterers. 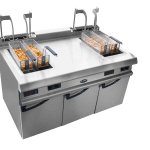 The different models in our range allow you to choose the ideal fryer for your needs: 1 or 2 tanks, from 25kg to + 35kg per hour, and more. 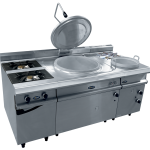 The small restaurant cooking suites Quality range ! You will appreciate the reliability of our Aven 725 mm depth compact range.The 2 mm thick body and the quality of our components are the guarantee of a great investment ! 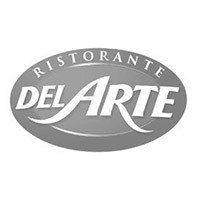 We’ve just thought of you: a selection of our best equipment for your restaurant. 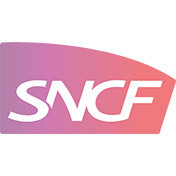 Capic is the chef’s partner for more than 60 years. 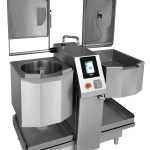 How to combine the performances of a large range with compact dimensions ?Hygiene, ergonomics, robustness and peformance, this is the combination of our 800 range. With 3 mm top thickness and first quality components, Celtic cooking suites will give you satisfaction for a long time. 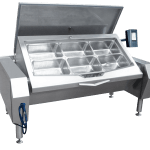 Especially designed for the commercial catering from 30 to 100 covers. Single piece 3mm thick top, dimension: 2,000x836x270.This Capichef is not scalable but it can be fitted on different kind of base: stand, open or closed cupboard, drawer, oven, refrigerated cupboard. 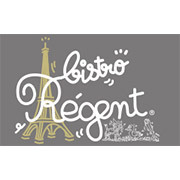 Our Key range for restaurants, brasseries, caterers and production units ! We designed and produce this range to assure you, day after day a perfect performance of your cooking equipment.You will use our Armen equipment, Innovative in their design and ergonomics, for a long time and you will enjoy using them. 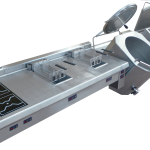 The Cantilevered range, easy to clean and a perfect hygiene ! 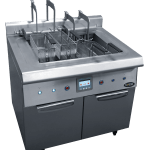 Cantilvered 925 mm depth, the dream of central kitchens – A sensational demonstration of a perfect hygiene in the kitchenThe CAPIC range Pilote is fully cantilvered, to a concrete wall, or to a stainless steel structure.Pilote is the cantilvered Capic range, with the Capic quality and reliability. A star in your kitchen. An ELITE tailor-made cooking suite is always a unique piece.You design your stove the way you want. 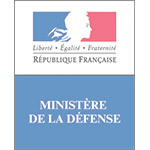 With the different possibilitiesAn Elite is the result of a common work between the Chef, the broker, and Capic to develop the stove according to your Menu and the way you work.Single piece top and independent base unit with a 30/10 top stainless steel, Capic quality and reliability make of this exceptionnal stove an excellent investment. High resistance stainless steel, top quality components, high end finish for a long term investment..
A multipurpose compact and ergonomic piece of equipment. 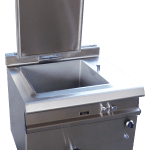 Perfect for restaurants from 80 to 150 meals.CAPITOP is a unique piece of equipment that combines a 35 L kettle and a 20 dm2 bratt pan. 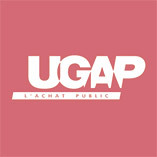 Capacities 150, 235, 345 and 500 liters. 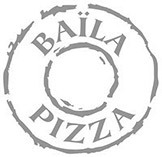 Heating: direct heating or bain-marie. Several models of aluminum pots, from 30 to 170 liters direct heating, according to your specific needs. 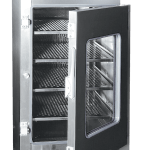 To steam, cook, roast all the products from charcuterie to ready mealsThis oven is designed to cook all type of food, to centralise in one unit, all types of cooking modes. A fusion of our Grande Cuisine and Charcutier ranges. 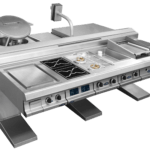 With its important depth and the legendary CAPIC quality, the 1000 range Charcutier-Traiteur is the best of the horizontal cooking equipment.Very thick stainless steel, high-end components, perfect design for a long-term investment. 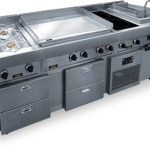 The range designed to last day after day.. a high performance cooking suite at every stage. Turbofrit, the all-you-can-eat french fries! 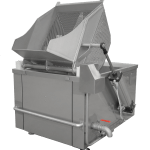 60kg of fries per hour, a high performance production thanks to this equipment. it is reliable, innovating with its little extras making the differences with other fryers : tilting oblong electric heating element, high performance gas burners, slow fat melting program integrated. 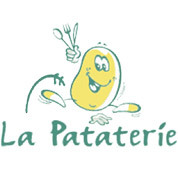 The best program for the best fryer!. The “must have” bratt pan made by CAPIC! 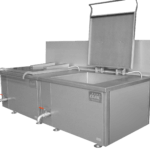 Bimetalic bottom of 12 mm thick, gas burners, reinforced chassis structure, everything has been done so that you have a reliable, ergonomic and hygienic bratt pan. 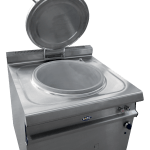 Our high quality components and attention to details allows us to ensure you a perfect cooking and real comfort at work. 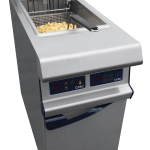 The highest-performance Capic fryer ever designed with full automation. For the big frying production establishments. Coactique aliquotiens nostri pedites ad eos persequendos scandere clivos sublimes etiam si lapsantibus plantis fruticeta prensando vel dumos ad vertices venerint.